A New Cat Species for Fundación Jocotoco? 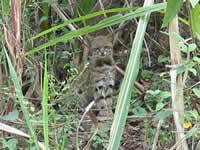 See a larger image of the wild cat photo here. 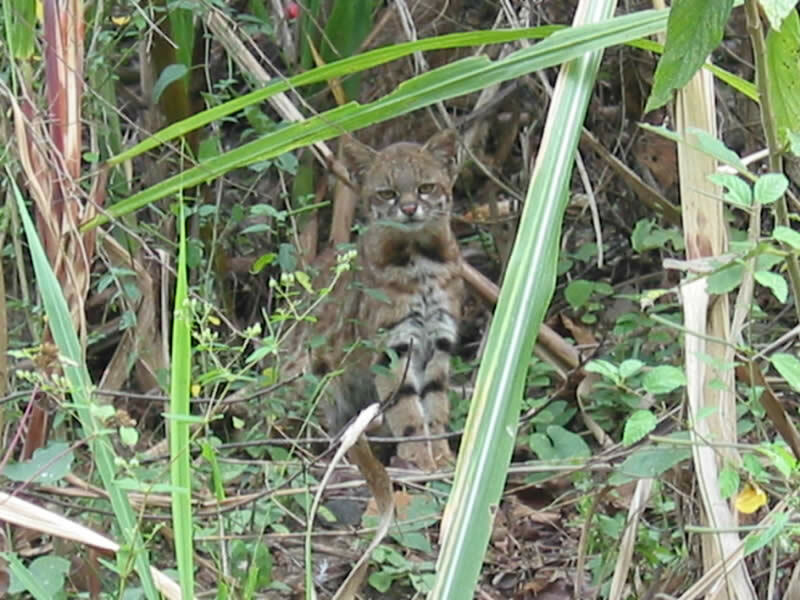 The photograph of the wild cat on the right was taken by Aldo Sornoza of Fundación Jocotoco (FJ), who was helping with the construction of the new visitors' lodge on the Jorupe Reserve, Ecuador. It is thought to be a new species of cat, still to be described, which was first seen two years ago in Peru. 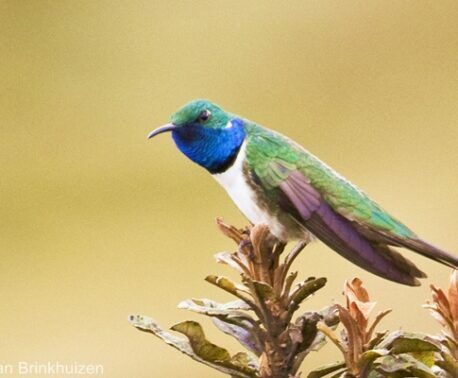 The Jorupe Reserve, owned and managed by the World Land Trust's partners FJ, is close to the border with Peru and this would be the first known sighting in Ecuador. "The ground color is very similar. However I didn't see any strong patterns on the legs, like this one has, though I would not have seen that from the angles I had (just the back and sides of the animal running through dense vegetation, both times). The elevations of my sightings were very high, around 2800-3000 m, and very wet, completely different from Jorupe. 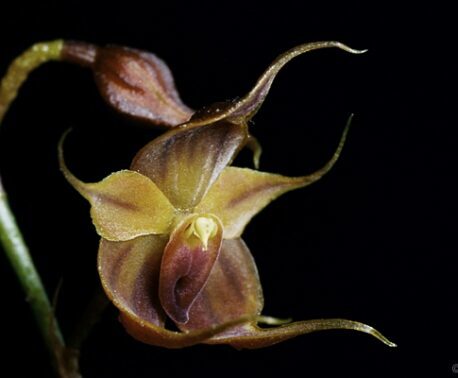 I could easily imagine that there is a new species of cat endemic to the Tumbesian zone of SW Ecuador and NW Peru." We are awaiting with anticipation further news on this sighting. Learn more about WLT's Tropical Forest Project in Ecuador.